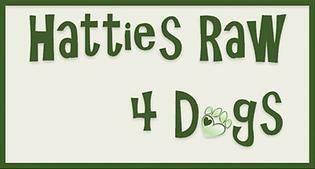 Hattie’s Raw 4 Dogs is a BARF supplier of quality raw and bone food in Kent. We supply a range of products from Nutriment, Landywoods and They Love It. We deliver to Kent, Sussex and Surrey. I was put in touch with Hatties a few months ago, someone in America suggested them to me, my German Shepherd is a picky eater and has never gained weight as he should, I got in touch with Hatties and had an immediate response and Samantha worked out what my boy would need to gain weight and how much I would need to last a couple of weeks, they are brilliant and even delivered the food straight to my door at very little cost, my dog absolutely loves this food, he now looks amazing, has gained weight and his coat is stunning, Hatties have done everything possible to help with his diet and food choice. I cannot recommend them highly enough. Fantastic. Thank you. I have used Hatties for sometime,and can’t recommend them highly enough..
Samantha is very knowledgeable about raw feeding and is always available for friendly advice.. They have a good range of products, including the Landywoods range- which has a higher meat content than most – my dogs love it and they are in fantastic condition. The delivery is always reliable and covers a large area- everything you need to feed your dog the best quality natural food which is affordable. Julie & Bassets in East Sussex. have used Hatties for some time now-can’t recommend highly enough..
Samantha is very knowledgeable about Raw feeding and always there for friendly advice..
She has a wide range of products, including the Landywoods range; which has a higher meat content than most..my dogs love it and are in such great condition.. Always reliable with deliveries -Hatties provide everything you need.